South Adelaide will look to rejoin the winner's circle as they travel to Gliderol Stadium to face the Tigers on Saturday afternoon. The Panthers will be sporting a new look as they don special Indigenous Round guernseys and will also be celebrating skipper Joel Cross' 150th SANFL Macca's League game. After two disapointing losses, South could make as many as four changes to the side that went down to West Adelaide last Saturday. Utility Jaidan Kappler (22, Port Noarlunga) has been confirmed to make his League debut after being named in a forward pocket. The son Panthers champion David Kappler will become the seventh product of South's junior program to make his senior debut this season after building form in the Reserves over the past month. Fellow youngsters Coby Helyar and Cody Szust have also been named on field as starters against the Bays. Midfielder Adam Hunter and experienced defender Scott Taylor are the only confirmed omissions at this stage. It remains to be seen if big American Alex Aurrichio will return to League action at the ground he made his debut on last season. His inclusion in the side comes amongst an extended interchange. In the Reserves two more Panthers juniors will make their first apperance with the seniors, as Luke Bogle and Tom Sparrow get the call up from the Under-18s. Meanwhile, Robert Badger and Lee Hoey will make their returns from hamstring and concussion issues respectively. Watch some of the best moments from Crossy's time with the Panthers! Can't make it to the Bay? 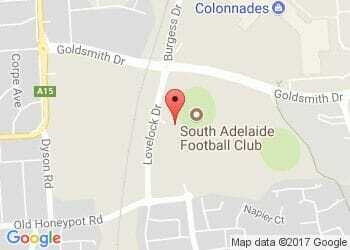 Catch all of the action on the South Adelaide Digital Pass!